EQ Investors is a growing business that values people and potential. We know that our staff are our most valuable asset, so we look to hire great people and create a working environment that brings out the best in everyone. If you come to work for EQ you’ll find a collegiate atmosphere that celebrates quality over quantity. Our portfolio managers are Chartered Financial Analysts and our firm has Chartered Financial Planning status. The environment we work in is important to us: our offices are light and spacious with views over the river… and we even have our very own in-office beach area! In terms of our approach, we’re committed to doing thing the right way. We are also committed to remaining a staff-owned business. This is important because it keeps our interests firmly aligned with those of our clients. 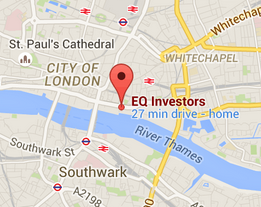 EQ is boutique wealth management firm based in the City of London. 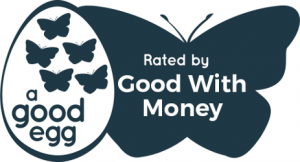 We manage investments and provide financial advice for individuals, companies and charities across the UK. We’re a close-knit team of around 60 people with a relatively flat management structure. Everyone is encouraged to contribute their ideas to help us continuously improve what we do. I’m responsible for a six-strong team which covers open and closed-ended fund research as well as macroeconomic analysis. I believe strongly in supporting junior members of the team, helping them develop their own style as analysts and also making sure their voice is heard in discussions with more experienced staff. One thing I really appreciate about EQ is the positive environment it offers staff, and the opportunity to work in a close-knit team. Day to day I meet with fund managers, either on a one-to-one basis or via group presentations – an essential complement the due diligence I do at my desk as we look to select the very best external managers for our client portfolios. And of course I read a lot of external research – whether on sectors, geographies or specialist areas of the market. I joined EQ for the opportunity to join a new and exciting project in its early days, and I think this is a common theme among my colleagues. I had a strong grounding as an analyst when I joined, but here I was given the chance to take on more responsibility and really have an impact. It’s also great to work for a smaller firm in the wealth management sector where there’s a backdrop of wider industry consolidation. Being smaller means we’re agile enough to set ourselves apart from the competition – a prime example of this being our Positive Impact Portfolios. Life is a series of decisions some good and others not so good, however, in either instance you find yourself reflecting on these decisions. I find myself in this situation now, reflecting on my decision to join EQ Investors. 1 year and 3 months later I still can’t believe my luck! 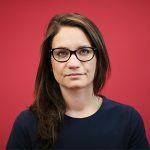 I joined EQ through a charity called Resurgo Spear, which runs a coaching programme to help young people develop themselves into work-ready candidates. EQ Investors has taken me beyond just being ready for work, training me into a skilled and valued employee. Day to day I support our bespoke investment management team, setting up and administrating our client accounts. This could mean putting through trades, or chasing up fund transfers to ensure they go through smoothly. In order to do this I’ve had to learn how to use several investment platforms, as well as understand a range of investment terminology – but I’ve been trained up by my colleagues each step of the way, so I haven’t felt out of my depth. 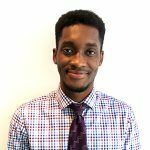 I’m currently working towards a qualification, the Investment Operations Certificate, which will further my understanding of my role and enable me to better service our clients. I haven’t always worked in financial services: I started out running pubs and restaurants and opened a shop when I was 20 – which was profitable from year one! But my dad’s a financial adviser, and at the point I was looking for a change of career he offered me a training position. I moved to London to gain more experience and spread my wings, and joined EQ in 2014. I provide technical advice to our financial planners and have recently become authorised to advise clients directly. Day to day I write a lot of technical reports, providing clients with detailed recommendations on their financial planning needs. This year I’ve been working closely with one of our executive directors, assisting him with his 1-1 client work. 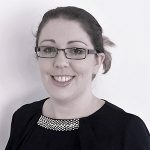 This has been an invaluable experience: as I work towards my Chartered Financial Planner status, it’s important not just to have the technical know-how, but also how to build great relationships with clients. I’m a people person – I think you have to be as a consultant, because you need to be able to understand what people really want to offer them the solutions they need. I also think you have to enjoy the time you spend at work, which means enjoying the company of your colleagues! Technical knowledge can be learned and experience can be earned, but here at EQ we look for the right kind of personality and fit when we’re interviewing for a new team member. Investment managers – conduct our investment research and manage our clients’ investment portfolios. Financial planners – help our clients achieve their financial goals by providing expert financial advice. Administrators – provide the backbone of support for our clients and managing the day-to-day operations of the business. Management and support – a small team that comprises our executive team, business and marketing strategy, IT, communications and HR. Group Personal Pension Plan. The company will make a matched monthly payment of up to 3% of your basic annual salary. Professional Qualifications. As part of an individual training plan we will offer support towards the cost of sitting external exams. Volunteering. Every member of staff is encouraged to take 2 days a year of paid leave for volunteering activities. Matched Giving. You are encouraged to support charities that you care about and EQ operates a matched giving scheme for staff who fundraise.